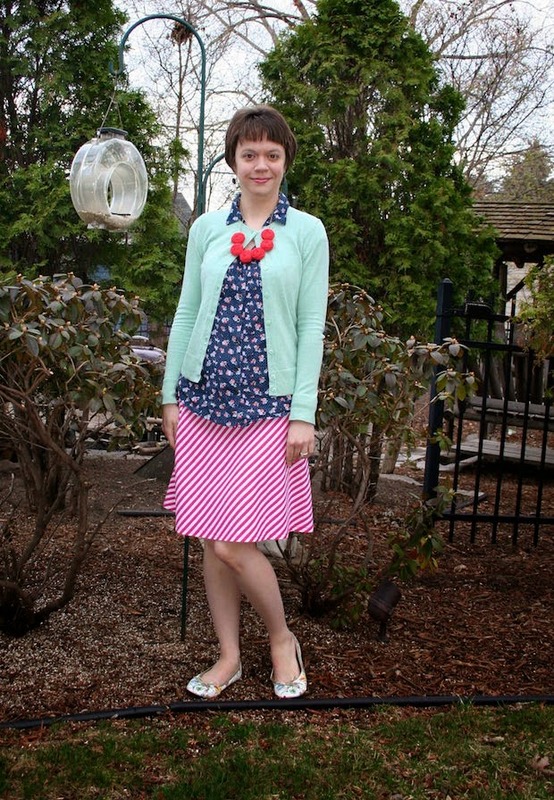 Welcome to another installment of Thrift Style Thursday! 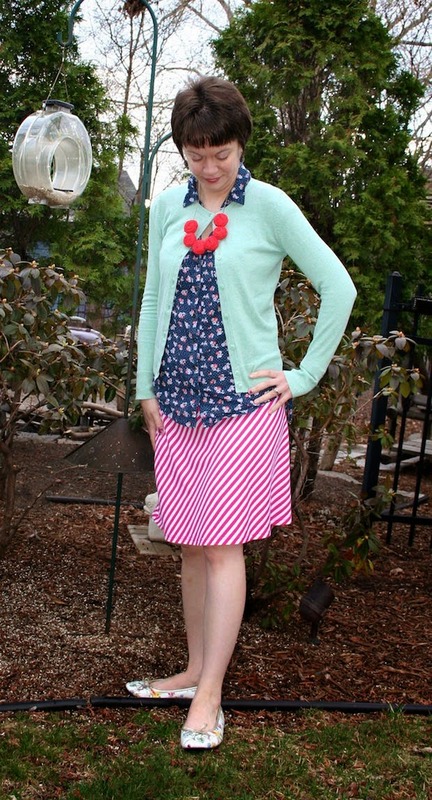 This week's theme was chosen by Brittany of The B Life, it's all about florals. Florals and I have a bit of a love/hate relationship. 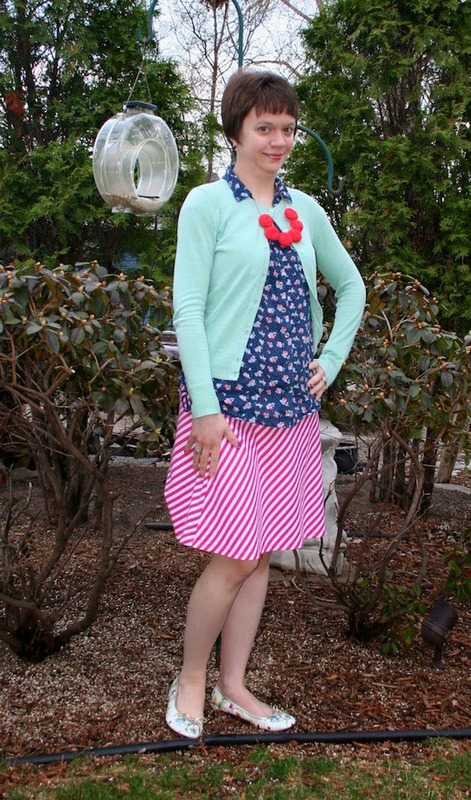 I'm pretty girly in that I do like feminine things, but sometimes with floral I feel the patterns can be too bold for me at times - but I like a nice subtle floral pattern and I really love mixing it with another pattern, such as stripes. Today I went with a floral blouse I thrifted last year. It might be it's last wear though, it's rather large on me at this point (first world problems I know). It's too bad, I actually really like the pattern, not only does it have floral, it has tiny polka dots on it too. And I love the colors! Today I am also proud to say that every item I'm wearing is either thrifted or gifted. For as many thrifted items as I own, that doesn't always happen, so it's kind of exciting when it does! We had some rain last week that has helped the grass start to green up a bit and their are buds on the trees - I'm sure actual flowers won't be too much longer! I can't wait for it to be as colorful outside as is reflected in my outfit today! 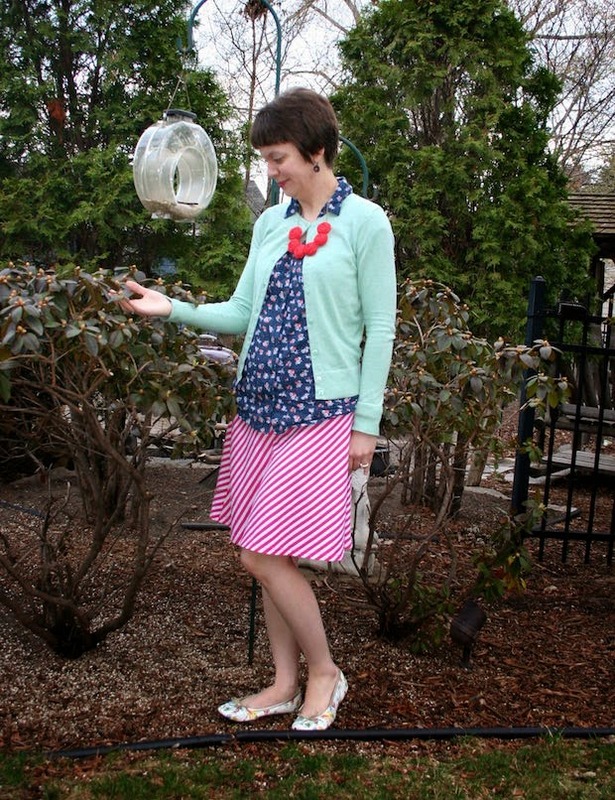 Make sure to check out the other Thrift Style Thursday gals at their blogs below for other floral fun!